T.S. Eliot had his own reasons for calling April the cruelest month, but if weather whiplash is any measure, it’s certainly been cruel to Brooklynites this year. With the temperature ranging from a high of 80 to a low of 33, whose seasonal equilibrium hasn’t been thrown off kilter? The future’s looking brighter though. And warmer. And, yes, maybe still a little wet. But the summer IS on its way. It’s time to start planning. One of South Brooklyn’s best summer-fun resources (and New York’s largest sports and events venue) is Aviator Sports and Events Center at Floyd Bennett Field. Last year, we highlighted several of their offerings that can help you and your kids while away the summer hours. With Summer 2018 approaching, we wanted to give you a little refresher. Campers participate in five rotating activities. 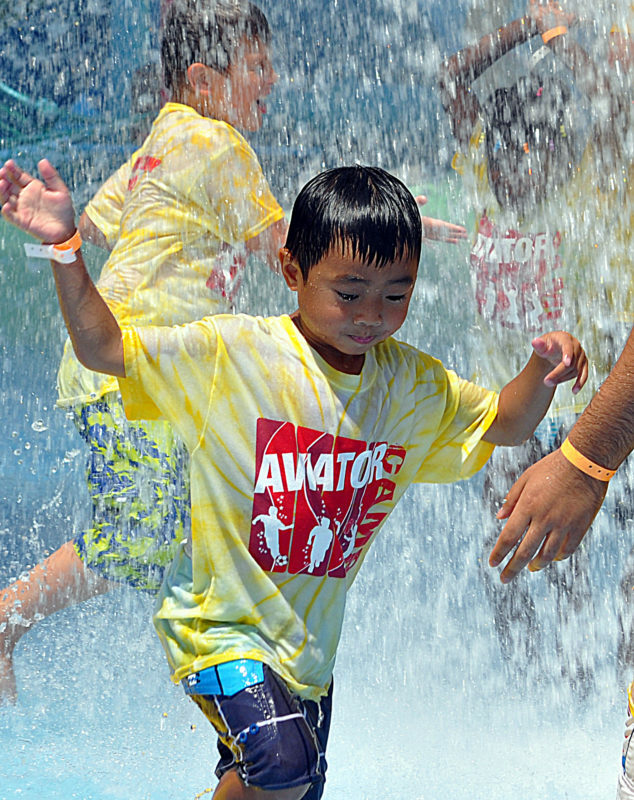 With the exception of field trips, all activities take place at Aviator Sports. There are open houses for summer camp through mid-June., where families can sample activities and food. Special discounts apply throughout the open houses. 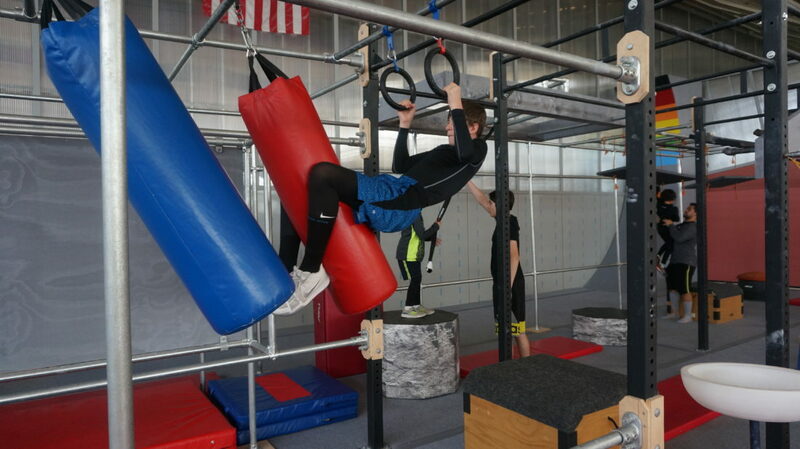 Aviator Sports also offers seven sports-specific camps throughout the summer, including Gymnastics, Ninja Warrior/Parkour, Hockey, Figure Skating, Soccer, Basketball, and Volleyball. 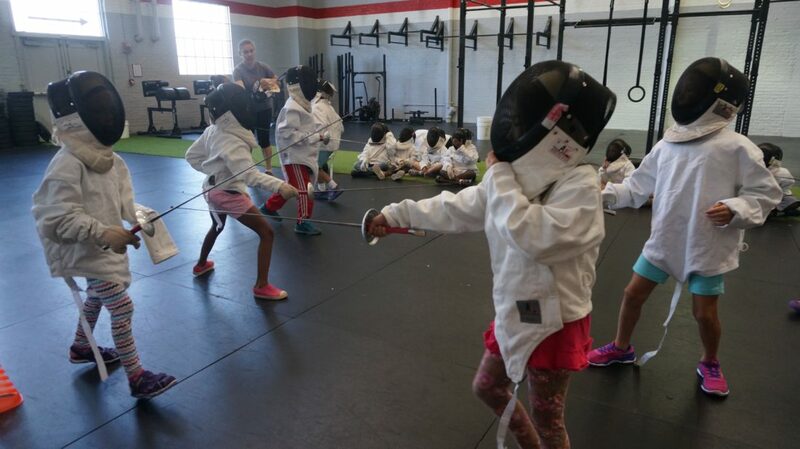 If your child is already enrolled in summer day camp but wants to do a sports-specific camp for part of the time instead, they’ll prorate the camp tuition to reflect that. They’ve got two outdoor pools that are available for birthday parties. Parties consist of two hours with access to a private pool and private party area with a dedicated party host the entire time. Birthday parties are also provided decorations, food, soft drinks, and cake. If you’re looking for a full-on backyard BBQ and pool party, they’ve got that option too! Their Aces Patio boasts a basketball court, two bocce ball courts, two shuffleboard courts, two corn hold set-ups, and a full-service bar. Party packages start at 25 people but can accommodate any number. 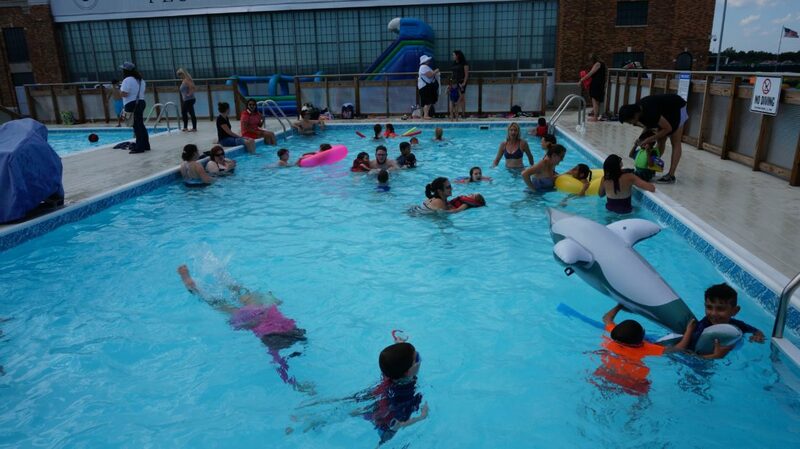 The backyard BBQ includes a three-hour party with access to the pool and a private party area the entire time. Parties include a classic BBQ package and tons of optional add-ons like arcade tokens, ice skating, and upgraded BBQ food packages. In addition to offering rentals of its facilities for a variety of private events — from weddings to corporate events — Aviator Sports also has a series of public special events ranging from circus performances to New York Sharks football games. Check out the calendar here. 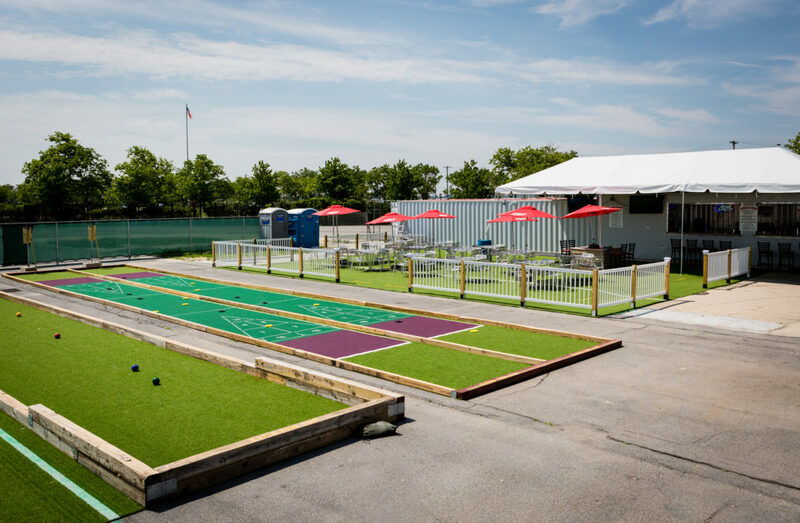 Aviator Sports has recently taken over operation of the former Brooklyn Golf Center (now Aviator Golf Center) and the Riis Park 3 Par Golf Course. Among other features, they’ve got a miniature golf course and will be installing new and exciting obstacles during the 2018 season. There’s plenty for you and the family to check out! More info here. This summer, the weather might not be completely predictable, but one thing is certain – Aviator Sports and Events Center has everything you need to fill it with fun. This post was provided by Aviator Sports and Events Center. If you would like to reach our readers, please contact us.